Extended service contract is available. Clean Carfax and Clean Autocheck. 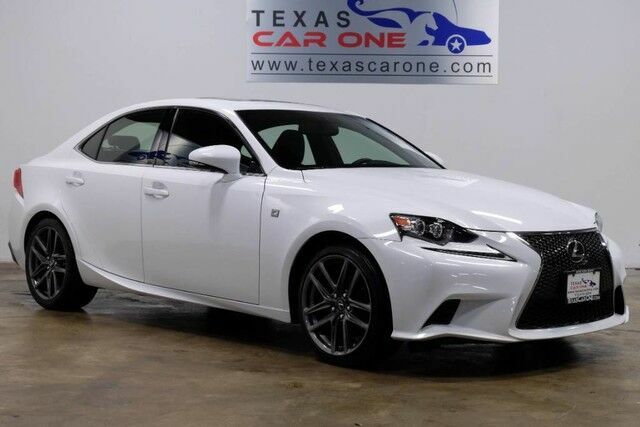 Highlighted features on this vehicle: AWD, F-SPORT, PREFERRED ACCESSORY PACKAGE, BLIND SPOT MONITORING, NAVIGATION, SUNROOF, LEATHER SEATS, HEATED SEATS, SMART ACCESS ENTRY WITH KEYLESS START, BLUETOOTH, SHIFTER PADDLES, DUAL CLIMATE CONTROL, DUAL POWER SEATS, F-SPORT LEATHER STEERING WHEEL, HEATED MIRRORS, AUX/USB INPUT, REAR AIR, CRUISE CONTROL, POWER LOCKS, POWER WINDOWS, POWER MIRRORS, HID HEADLIGHTS, ALLOY WHEELS. .